Blurb: As Christians, sometimes it's hard for us to comprehend the love our Heavenly Father has for us, His Earthly children. 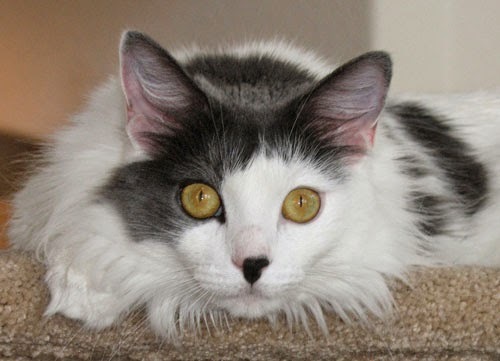 Author Cindy Vincent began to realize the depth of His love after caring for several rescued cats and then bringing them into her home. That's when she began to notice the parallels between her relationship with these precious felines and God's relationship with us. 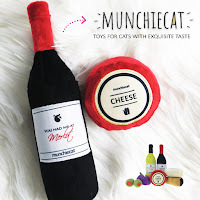 After all, as a pet Mom, she works in so many behind-the-scenes ways to make life wonderful for her little feline family, much like God works behind the scenes to make life wonderful for us. Yet much like her cats have no comprehension of all that she does for them, we have no comprehension of all that God does for us. 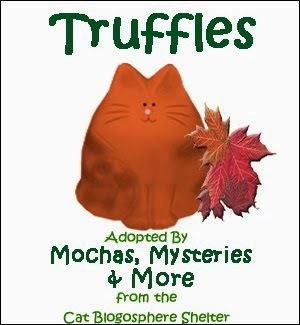 Mochas, Mysteries and Meows Review: I'm not a particularly religious person. I grew up in the church and attended Catholic school, but as I've gotten older have moved away from organized religion. To be completely honest, when I think about God and animals in particular, more often than not I find myself asking why. Why are precious, perfect, innocent animals killed in shelters everyday while rapists and murderers are supported in our prison system for decades? Why does He allow them to be abused and neglected? Why do these little creatures that give us nothing but pure love have such short, fragile lives? They do absolutely nothing to deserve any pain and suffering. Maybe it's because I still feel some anger following the loss of my beloved Tara, but these are questions that I struggle with. I guess all any of us can do is take it day by day trusting that one day God's plan will be made clear to us. I recently came across this quote which speaks volumes, and it completely touched my soul. God was silent for a moment, and then He spoke softly, "I have done something," he replied. "I created you." Two things I know for certain are that I see a little bit of Heaven every time I look into the eyes of an animal, and that one day I will be reunited with all of the cats who lived for a time in my home, and forever in my heart. So when I was offered the opportunity to review a cat-themed devotional I could not imagine finding a book that would have more special meaning for me. Even if religion isn't a driving force in your life, anyone who reads this book will walk away inspired by the author's meaningful stories about life with her beloved rescue cats. I devoured this in just a couple nights, but this little treasure could also be read over 33 days, a devotional a night. Each contains a story about the author's cats followed by a comparison to our relationship with God, and ending with a Bible verse. These precious souls truly are gifts from God, placed in our care for such a short period time, but we can learn so much from them. I would highly recommend this as a Mother's Day for all the cat moms out there! Cats Are Part of His Kingdom, Too will be free for Kindle May 2-6! I struggle with questions like that, too. A lot of things in this world don't make sense to me. I grew up in the Catholic church and went to Catholic school, but I've sort of moved away from the formal church somewhat. This sounds like a book I'd really love to read. I'll have to add it to my wish list. Wees be christians hewe in ow home and wees tu don't unnewstand all da suffewin' in dis wowld. But wees du know dat God is not wesponsible fuw it. Hims cweated us wiff fwee will so dat wees kuld make da choices ovew ow own lives and unfuwtunately wees don't always make da bestest choices, and sum hoomans shuldn't even be allowed tu exist. But God dus hav a mastew plan, and sumday wees will know it. In da meantime thhose of us hoo du cawe du what wees an tu ease and stop da suffewin' of uddews. Thank you so much, Melissa and Truffles, for hosting my book here today on this, the last day of our blog tour! 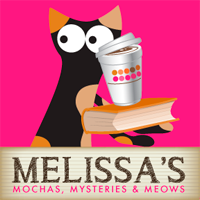 I love the look and concept of your blog -- cats, chocolate coffee and mysteries -- wow, does it get any better than that? Buckley and Bogey, my two black mystery-writing cats are sitting here with me now, and they send hugs and wet-nose kisses your way! I LOVE the quote you've posted today!! 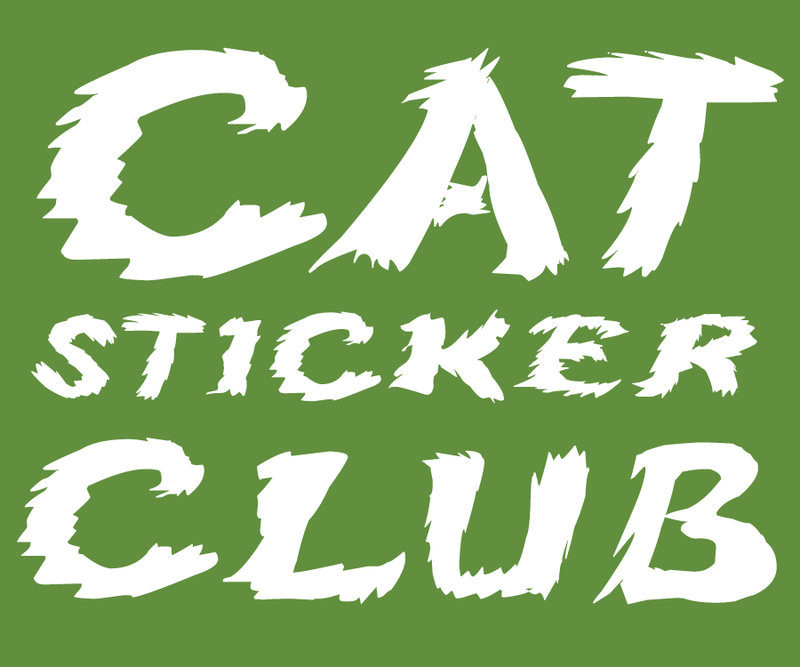 And we wanted you to know, one of the reasons we write cat-themed books, especially the Buckley and Bogey middle-grade series, is to try to instill empathy in children for animals, and to get them interested in having a family pet again. I'm guessing I'm a (ahem . . .) tad bit older than you, and I remember growing up at a time when every family on the block had a pet of some kind. It was the norm back then. But today, it's not. Yet what a different world it would be if kids were raised with a cat or dog again. It's so good for the kids, and good in helping to rescue all those precious animals from shelters. So, here the boys and I write books, hoping to have an impact. I know others who take animals into classrooms, and they're surprised to find kids who've never even petted a cat or dog before. I think there's a lot we can do to orchestrate some changes, and help all those precious animals in need of forever homes!! In any case, thank you for your wonderful work. And thank you again for hosting us here today! All the best to you!! 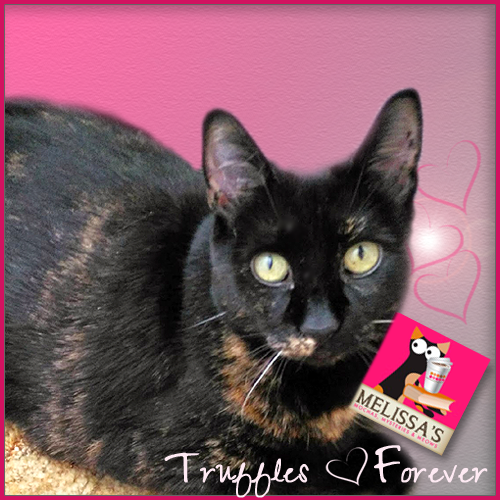 Thank you for your heartfelt review and openness, Melissa! That quote is really poignant. And I so hear you about taking one step at a time, trusting God day by day - a difficult but beautiful walk of faith. I'm so glad this devotional touched you! Cindy and I are both grateful for your participation in the tour. :) Blessings! LOVE your comment, Elaine!! My cats have all been such huge blessings to me, in more ways than I ever could have imagined!! My life would not have been the same without them. This book sounds like it would be purrfect for our mom. Maybe we should give some purr hints to our dad to get it for her! Thanks for sharing this book with us. A thoughtful quotation there, from this book. Thanks for sharing.